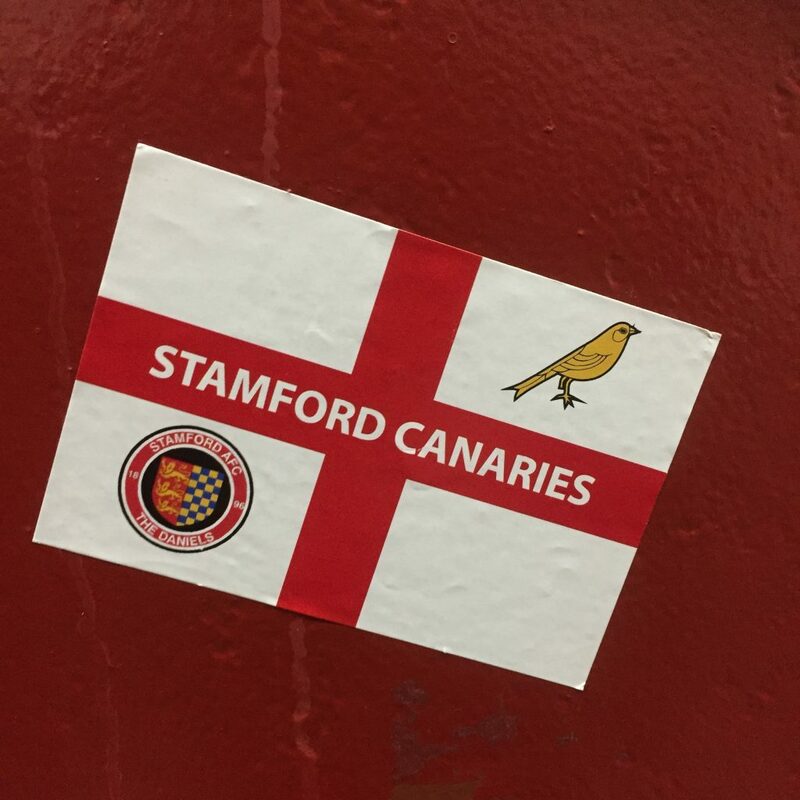 This sticker was photographed in the away end at Barnsley, so I'll pin it to the map there, but it's got an interesting story attached to it. Stamford Association Football Club currently play in the Premier Division of the Northern Premier League. Their nickname, 'The Daniels', comes from Daniel Lambert, reputedly the fattest man in English history, who died in Stamford and is buried in St Martin's churchyard close to their former ground. So there you go! Who ate all the Pies?